Do you know Leonore? ...News from the National Archives. I am not entering into your private life…and I don’t ask if you met Léonore. You may be sure that I am only speaking about a new area at the National Archives! 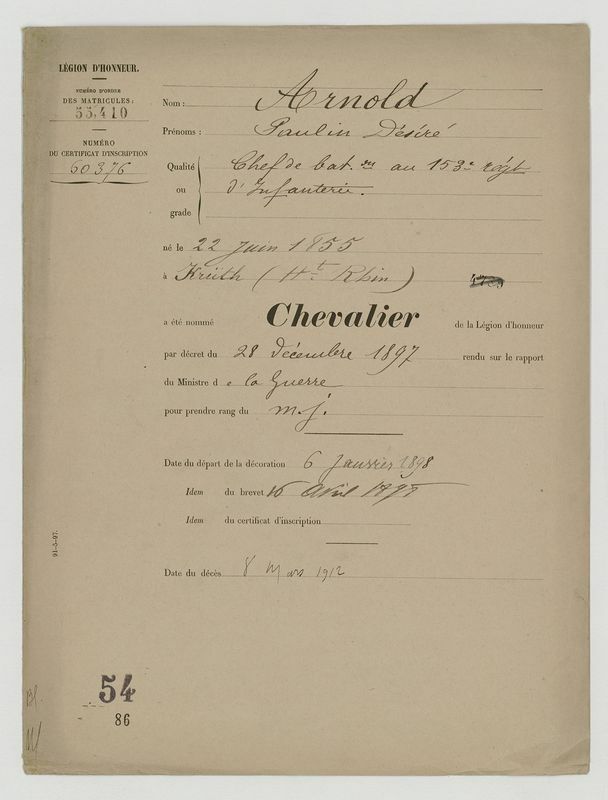 It is a new database about the badge of LA LEGION D'HONNEUR in the National Archives... Did you think of this decoration when searching for your ancestors? I found in this database two of our ARNOLDS with all the documents relating to their decorations and to their glorious careers as soldiers. Paulin and Joseph ARNOLD, two of our ancestors born in KRUTH, received this glorious decoration during the 19th century. Maybe they are your ancestors? We spoke of them in our bulletin BONJOUR LES COUSINS but today we can have a look at the documents relating to the Legion of Honour thanks to the free link at the National Archives website. 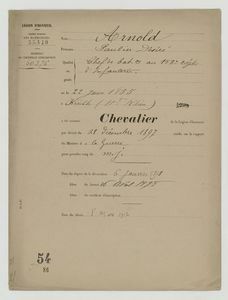 Hereafter you can see the personal certificate of Paulin ARNOLD as Chevalier of the Legion of Honour issued on December the 21st of 1897. 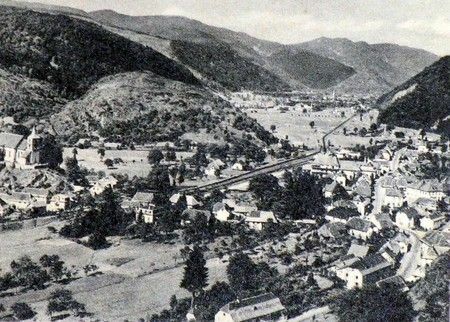 He was Battalion Chief in 153e Régiment d'Infanterie. The Legion of Honour is the highest decoration of the French National decorations. It was created on 29 Floréal an IX (May 19, 1801), by Napoleon Bonaparte First Consul, in order to thank the civilian and military services. The French Revolution abolished decorations from the Monarchy and gave military awards by the Consular decree of 4 nivôse an VIII (December 25, 1799) creating coats of Honour. Just before he became Emperor, Bonaparte founded an order equal among all the services which served the country: la Légion d'Honneur. The name was taken from the Roman "legio honoratorum" and was immediately recognized as the most glorious and prestigious decoration. During the Restoration the order was kept beside the royal orders and became the only French National Order from Louis-Philippe. Its influence was significant and was taken as an example in all countries. Commentaires sur Do you know Léonore ?